As a young boy, Bao Phi awoke early, hours before his father's long workday began, to fish on the shores of a small pond in Minneapolis. Unlike many ther anglers, Bao and his father fished for food, not recreation. A successful catch meant a fed family. 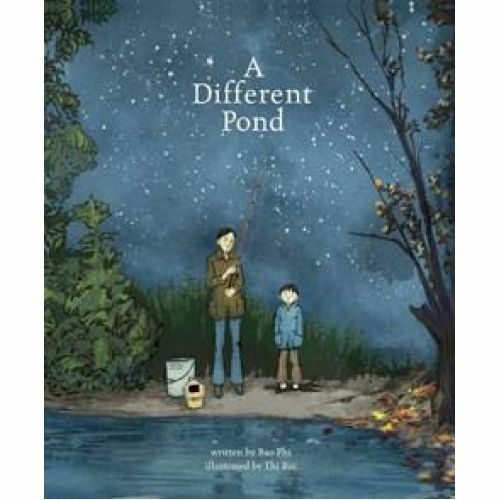 Between hope-filled casts, Bao's father told him about a different pond in their homeland of Vietnam. The New York Times has said that Bao Phi's poetry “rhymes with the truth.” Kirkus Reviews calls A Different Pond “a must-read for our times”. Grades 1-3. Ages 6-8. Hardcover.